Omg, wat an incredible bake,looks seriously fabulous. It came out absolutely perfect, sweet Ramona! I would be right there with you buying the pumpkin by the dozen :) I love a good deal too! Now, I just wish I had a slice of your bundt right now... Thank you for sharing! I am sitting here reading your post with a cup of hot coffee. It's a cool morning. 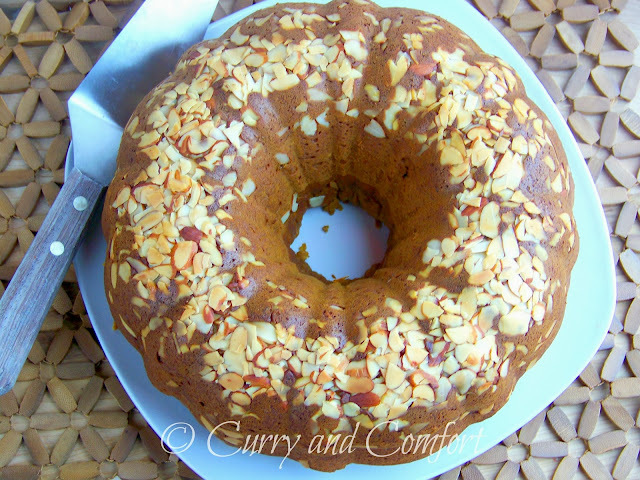 The only thing missing is a generous slice of this Pumpkin Banana and Almond Bread Bundt. Great post! 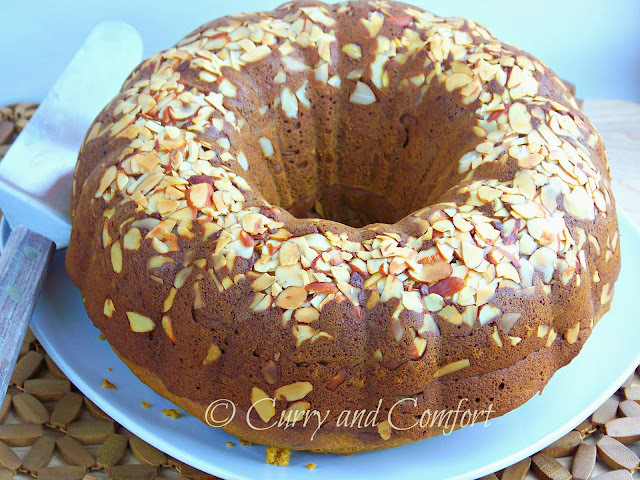 I could eat this entire cake... in one sitting... no problem! 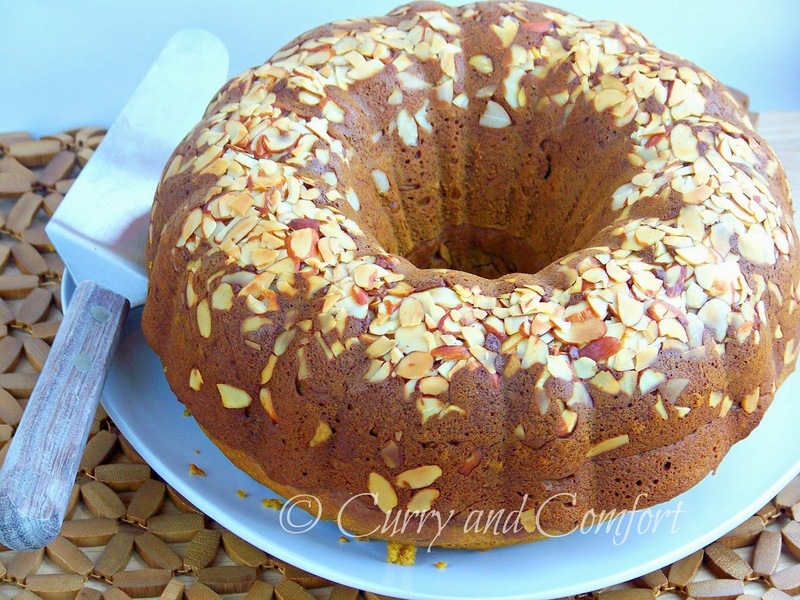 Now that is a pretty bundt cake--and I'm with you, I love finding deals! Good deals can put me in a good mood for days. That is an outstanding deal! I would have gone crazy! Enjoy them for me. Yeah! Nothing like finding a good deal! This bundt is all kinds of delicious! It must be so moist with the pumpkin and bananas! That is cheap!!! I couldn't find any of the stuff for months, and then when I did, it was like $6/can!!! 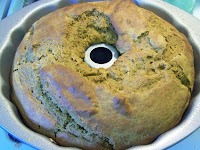 This bundt looks great, my husband would love this with his morning coffee. Oh My gosh that looks so good. I bet your house smelled like the holidays and that's a pretty cool thing. Holiday yummy smells with warm weather, yummy! 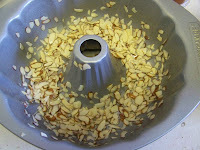 I sooo need a bundt pan. 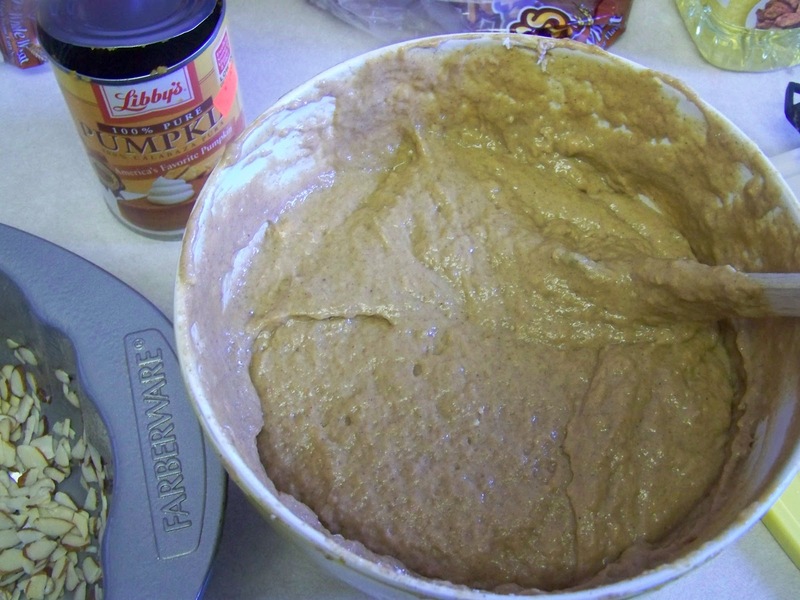 Love pumpkin in cupcakes and cakes... gives you that warm, comforting feeling. 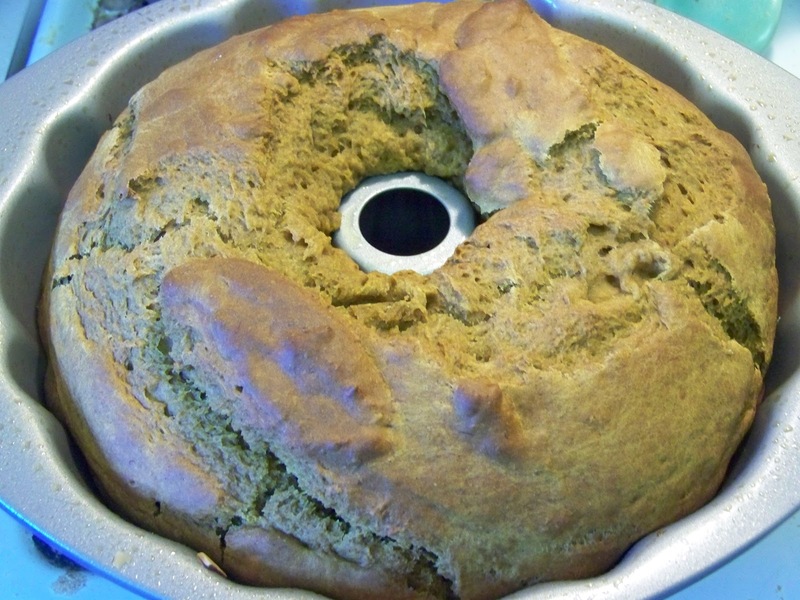 Love that you've baked a pumpkin banana bread. What a deal! 49 cents per can! Just shows you how they jack up the prices during the holiday! I foresee lots of pumpkin recipes coming out of Ramona's kitchen! :) Love the way you used the almonds. It makes such a lovely bundt! Bet this taste like the holidays in June! Have a great weekend my friend! sales make me so happy! that find would have put me in a good mood for a month! 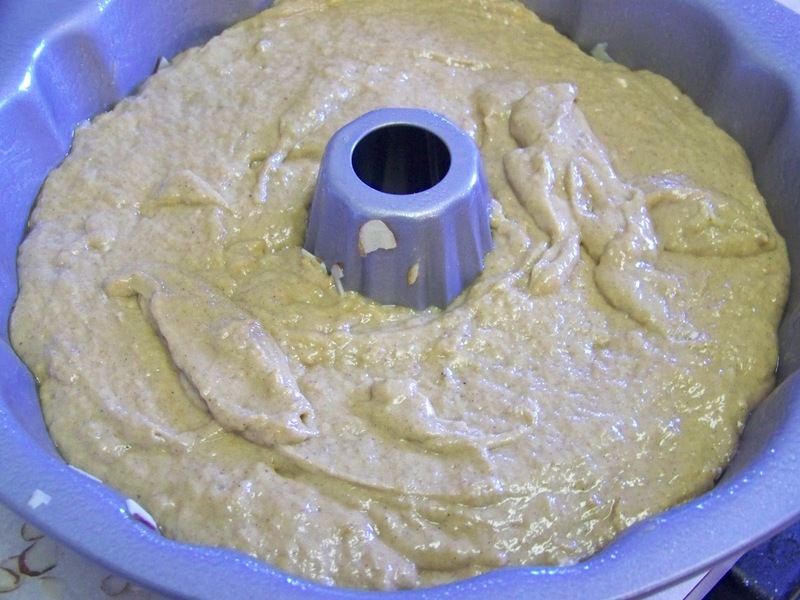 Now that's a beautiful bundt cake. A fun twist with pumpkin right there. I've always favored sweet potatoes over pumpkin but I'm learning to love pumpkins thanks to recipes like this.